A Texas map turtle is a semi aquatic basking turtle that has an elliptical shaped body. It has a keeled carapace and one row of knobs going down their back. The males are characterized by a longer broader tails while the females have shorter, thinner tails. Males don't have long foreleg claws. Female map turtles are larger than the males. The size of the males varies between 2.75 inches to 4.5 inches. The size of the females varies between 3.75 inches and 8.5 inches. Its caprice is olive to brown in color and has yellow to orange whorls that are surrounded by wider road like lines. Its head is an important identifying feature. It has a horizontal yellow line behind its eyes. 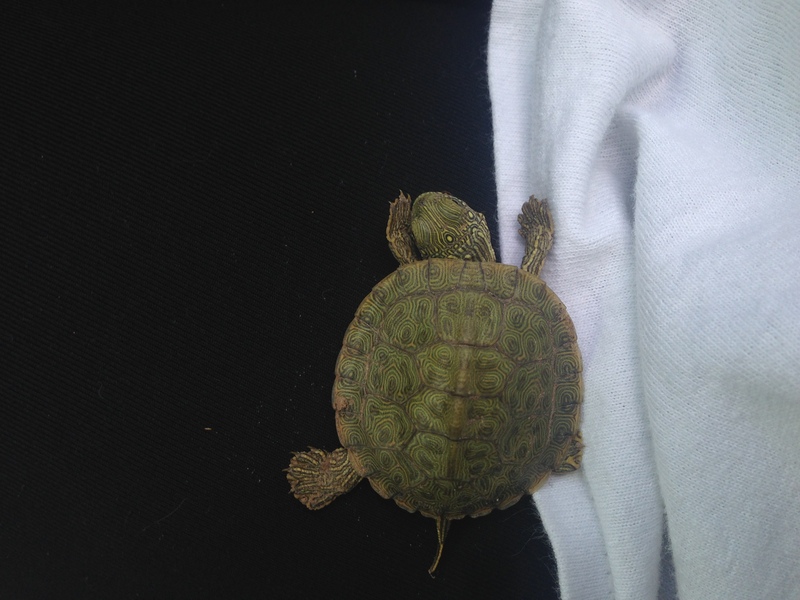 Where is the Texas Map Turtle Found? Just as the name suggests, the map turtle is found in Texas. They are found in the Colorado River drainage in the Edwards Plateau. This area is in central Texas. These turtles prefer shallow stream that experience moderate currents. They are very aggressive in basking. If they are kept as pets, basking spots must be provided. They are excellent swimmers and they need a habitat with water that is as deep as possible. The map turtles are omnivores (though predominantly carnivorous). The feed mainly on invertebrates e.g. aquatic insects, insect larvae, aquatic snail etc. Worms and fish can also be a big part of their diet. These turtle enjoy snails, although they need small snails that have weak shells that can easily be crushed. They can easily be overfed with proteins. This should be avoided because it leads to unhealthy growth rates and can also lead to pyramiding of the shell. They readily eat food that is live such as grasshoppers, crickets, small shrimp, earthworms etc. They feed on vegetation such as Anacharis and Romaine lettuce. They should be housed in predator proof places. Their protective carapaces can’t protect them from carnivorous pets such as dogs and cats. Egg clutches can have 2 to 8 eggs. The eggs take between 45 to 60 days depending on temperature to hatch. Generally speaking Texas map turtle eggs incubated in warm temperature produce females while those incubated in cooler temperatures produce males. Incubating at intermediate temperatures produces a mixture. Breeding of these turtles is temperature dependent. 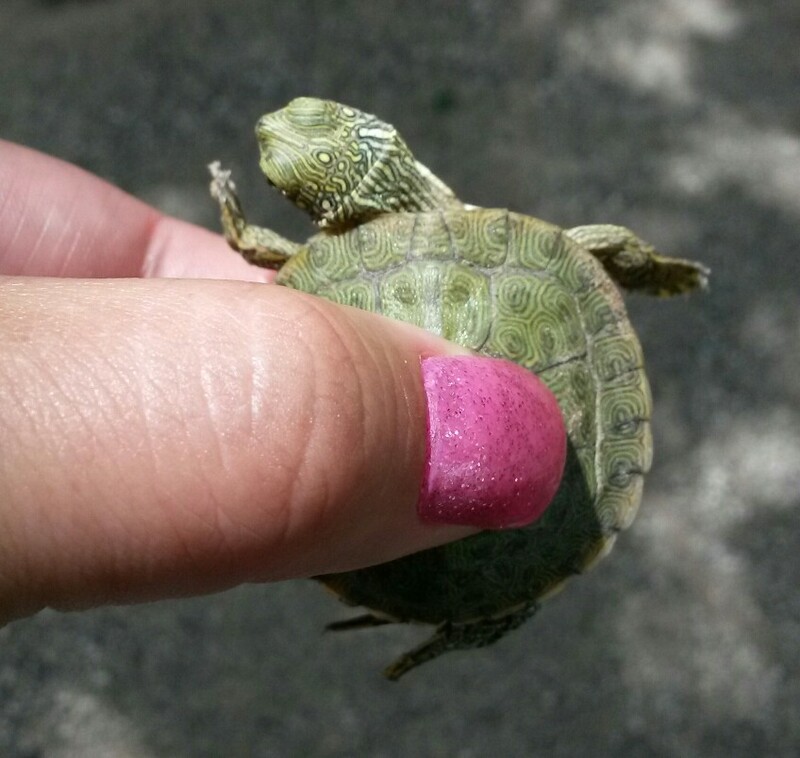 The hatchling habit is almost the same as that of adults. The hatchlings should be feed only once a day. They should be fed with carnivorous fare or commercial pellets until they are 6 months old. They should be given just enough food to reduce their appetite. Avoid giving them too much. After 6 months, the feeding should be cut back to every other day. They should be fed them according to the growth rate and the appearance of the shell. You may give them Romaine lettuce at any age. Other lettuces are okay but they contain less nutritional value and fiber compared to the Romaine lettuce. The Texas map turtles can be very sociable. They are great pets for any home. Close attention to the quality of water they live in is needed because they are quite sensitive to the water quality.